IIRC, if TMP were to block the physics mod, they would be basically hindering an "agreement" made by Grimes and themselves. But that's what you have rules and guidelines for with these mods. Honestly, as long as you keep control of your truck with the physics mod enabled, you're doing everything right. I myself have not used Hesk due to the complexity of it. Now that you guys created one for yourself, it should be much easier for users to use it! Nice one, TMP! Hai, It sounds like you are being limited from World of Trucks. Are you doing a World of Trucks contract? If so, it limits you to 90 kmh/55mph. If this is not the case, please try CrackPrewier's suggestion. Regards. "Ciao!" English area and says that. Anyways, thanks TMP Team and good luck to all participants! People complaining about the /fix command, when I think it's actually a pretty good idea..
Yeah, it's a bad thing for trolls, I can agree. But, a good thing for serious players. 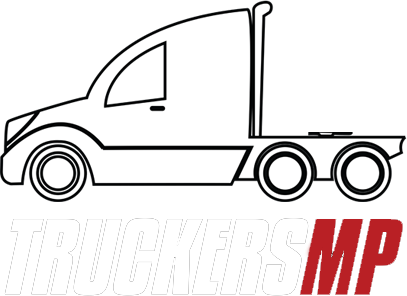 Instead of complaining on the forums, just do this: https://truckersmp.com/feedback <-------- MUCH easier way to get your point across, and especially since it's with Upper Staff, and not players who could possibly start an argument. I actually love this option. Thank you for informing the community. Even with me not being a coder, I probably could have thought that since ATS is in 1.29 and ETS2 is in 1.30, the code was completely different as they are two different versions. I think you guys have made the right decision, and I think everyone else can agree. I didn't expect that, I seriously didn't. Congratulations, Penguin! Noot Noot! It's a good idea to be honest... IIRC, no one uses the server a lot, as it's a Asia located server I believe. If you connect to it from (example) America, you'd be literally screwed. I just absolutely love it when people go behind your back and replace you. I feel real sorry for the person who did this to me. I know the feels mate!